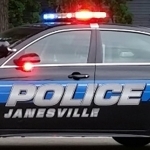 A close call in Janesville Thursday, where two children had only minor injuries after a car crashed through the wall of their daycare center. Police Sergeant Dean Sukus says it happened just after noon. There were reportedly 28 adults and 15 children inside. Sukus said the car came within inches of one child before it came to a stop. He also said reported injuries were minor bruising and a small head abrasion. The parents opted to take their children to the hospital, as a precaution. The other kids were taken to a church next door to wait for their parents to pick them up. Police believe the driver may have mistaken the gas pedal for the brake. Sukus said she wasn’t injured, but was pretty shaken up.